Banjo is at the beginning of a wonderful journey that will hopefully see him become a vital aid to improve the mobility of a visually impaired person. But how does Banjo go from being an adorable puppy to an impeccably trained partner for life? Here are the basics of everything you need to know about how to train a guide dog. What happens to a Guide Dog puppy after it’s born? 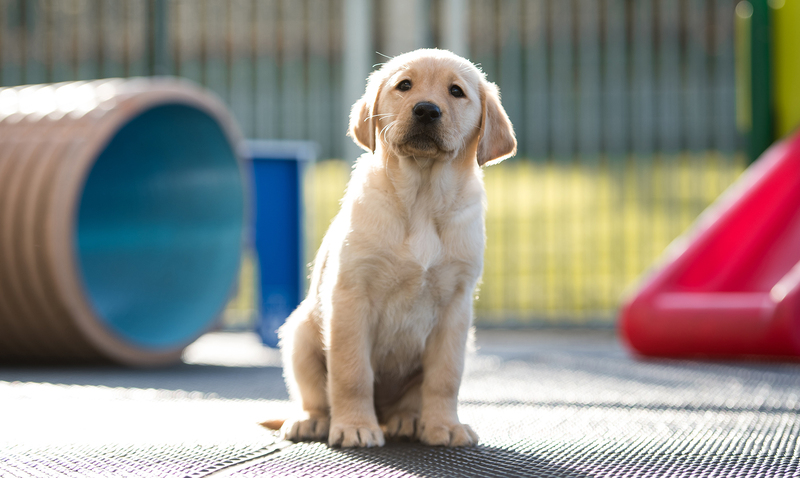 Six weeks after being born, Guide Dog puppies like Banjo spend a week in socialisation and habituation training at the Guide Dogs National Training Centre. Here, the puppies learn how to socialise with other dogs and people, which encourages them to be happier, friendlier and more predictable. At this stage, the puppies are already learning how to handle stress, too. 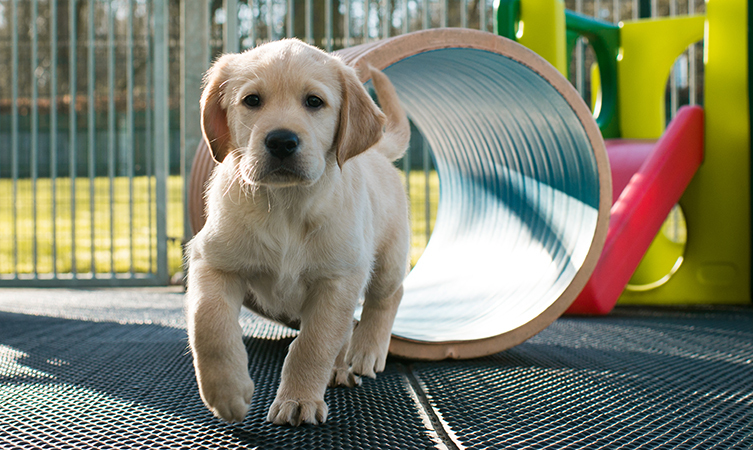 How do you prepare a Guide Dog puppy for the real world? During his time at the Guide Dogs National Training Centre, Banjo will be introduced to a range of different visual, auditory and tactile stimuli. He’ll be handled and stroked with different textured materials, and be encouraged to play with soft, hard and noisy toys. The puppies are exposed to everyday sounds such as car traffic, keys jangling and washing machines to acclimatise them to the real world. How much does it cost to train a Guide Dog puppy? It costs £10,000 to train a Guide Dog, and £55,000 to support one throughout its entire life. After a week at the Guide Dogs National Training Centre, Banjo will be united with a puppy walking family. These are normal families, and until Banjo is six months old his only task will be to get used to life in a family household. How long does it take to train a Guide Dog puppy? It can take up to two years to train a puppy to the point where it is ready to be matched with a partner. What happens to a Guide Dog puppy that isn’t paired? Guide Dogs for the Blind has a very high success rate in training and placing guide dogs. Inevitably, however, some dogs do grow up to become unsuitable for being a guide dog. When this happens, the dogs are found new careers as assistance dogs elsewhere in society. 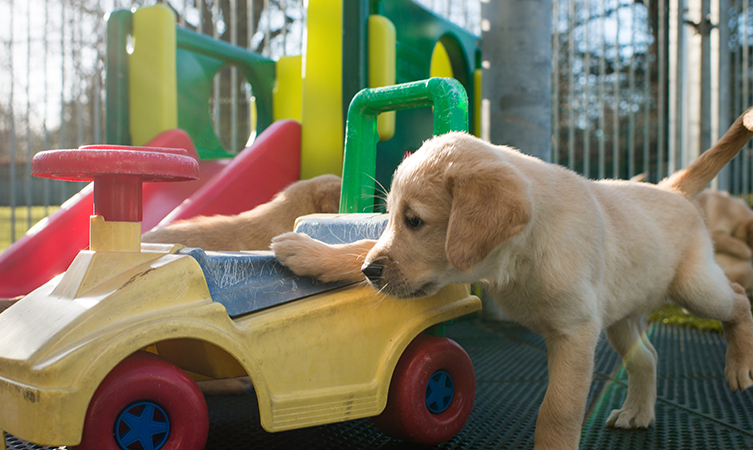 We’ll be following Banjo throughout his journey as he learns to become a guide dog and help change someone’s life. 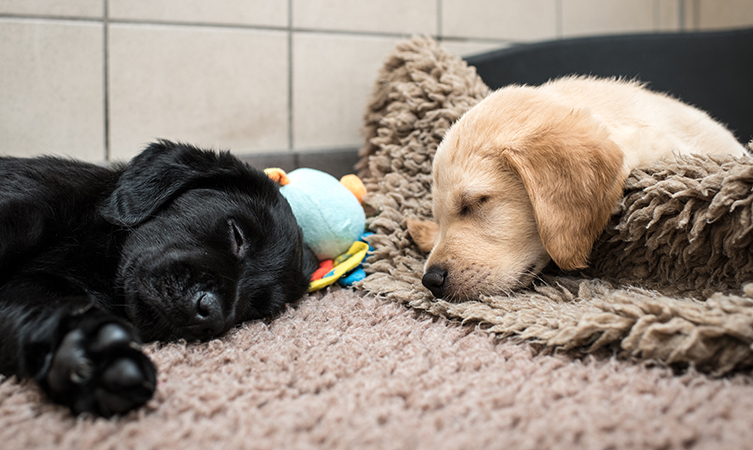 If you would like to support the work that Guide Dogs does for people who are blind and partially-sighted, please click the following link to visit the Guide Dogs website.